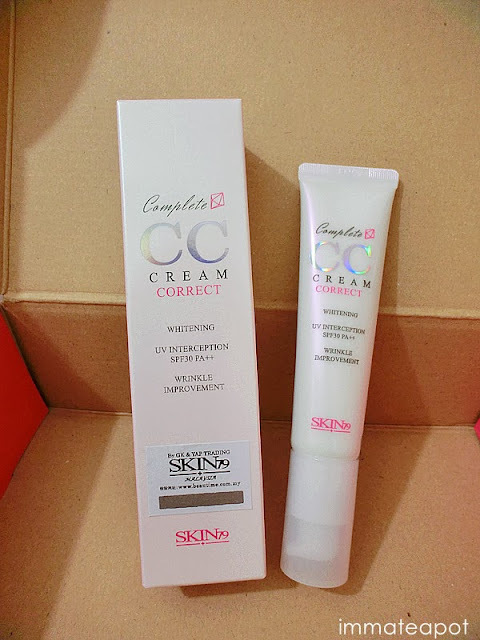 Recently, I have received a tube of CC Cream for review purposes. I was so happy as I have not tried CC cream so far instead of BB cream. Both BB cream and CC cream can be all-in-one products as they cover the functions of moisture, sunscreen, primes, oil control and skin coverage. Yet there are still some differences between them. Lets make it clear what are the differences between BB (Beauty Balm) cream and CC (Color Correcting) cream. 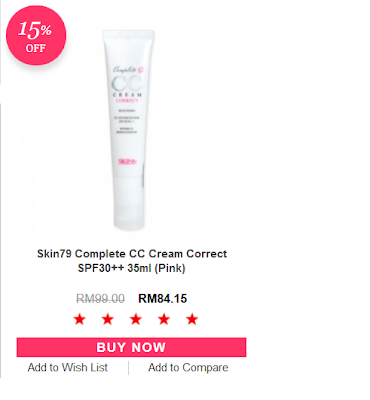 With no doubt, CC cream are similar with BB Cream yet it amped up a bit more on skin care benefits. They're a little heavier on anti-aging, helping with uneven skin tone, age spots, wrinkles and other simple skin issues. 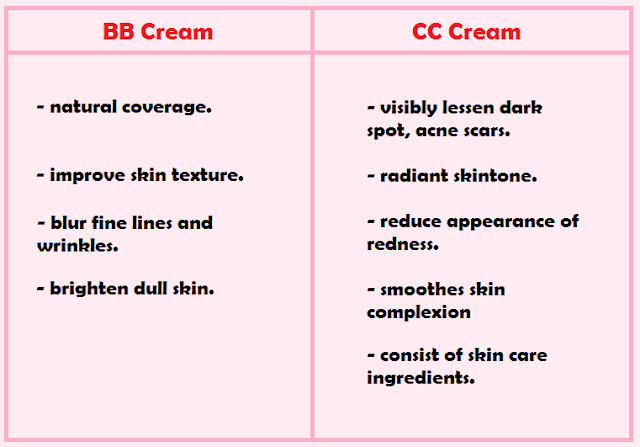 BB cream will be more on skin coverage, but CC cream more on anti-aging and skin improving properties. So, this is CC Cream Correct from SKIN79, namely a triple functional CC Cream. It contains sunblock up to SPF 30 PA++, as in general most of the BB cream I owned was up to SPF 15 PA++ only. 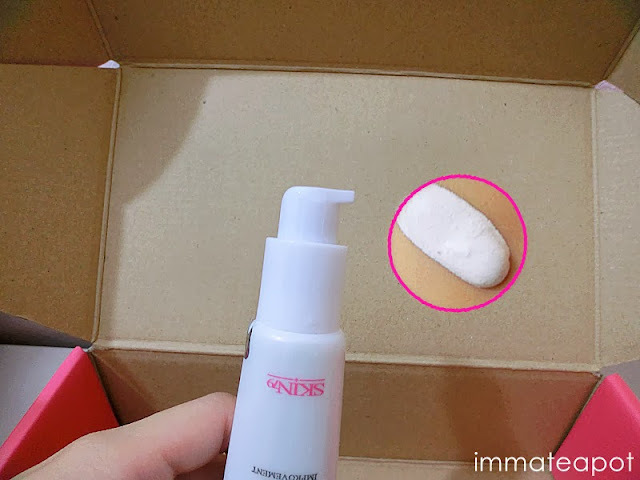 Besides, it contains whitening and wrinkles improvement ingredients. 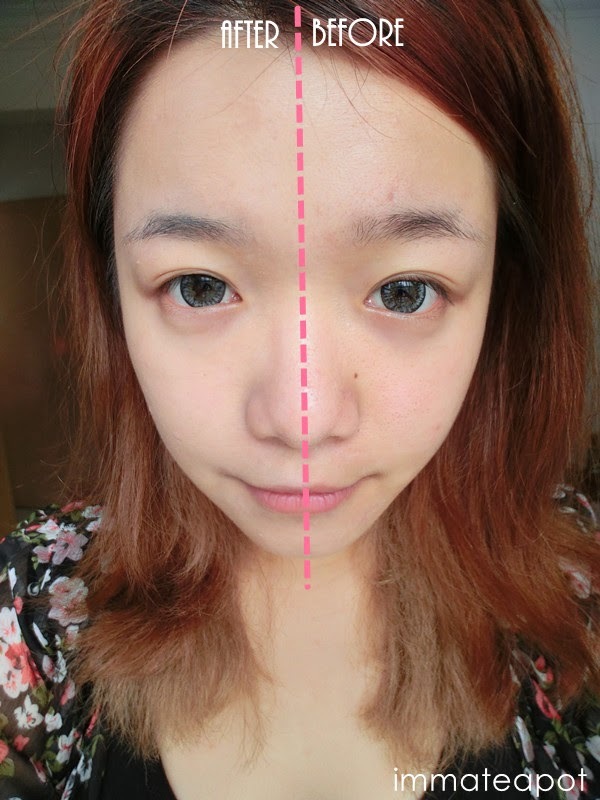 The texture of this CC Cream is slightly light and thinner with very light pinkish color. It consists of micro capsules which carry mineral ingredients as they can add on a little natural glow to our skin. Moreover, it is rich in Amino Soothing complex for relaxing stressed skin while making it healthier and more elastic. Here's a picture of me before and after applying SKIN79 CC Cream Correct. My skin complexion is better, looking fairer and smoother. It covers the redness/dark spots and pores on my face effectively. It is more hydrate after all with natural healthy glow. What's so special about this CC cream? When we come to actresses in Korea drama, they appear to have fair, soft and transparent skin! So here comes SKIN79 CC Cream Correct, it makes my skin look so Korean wtf. 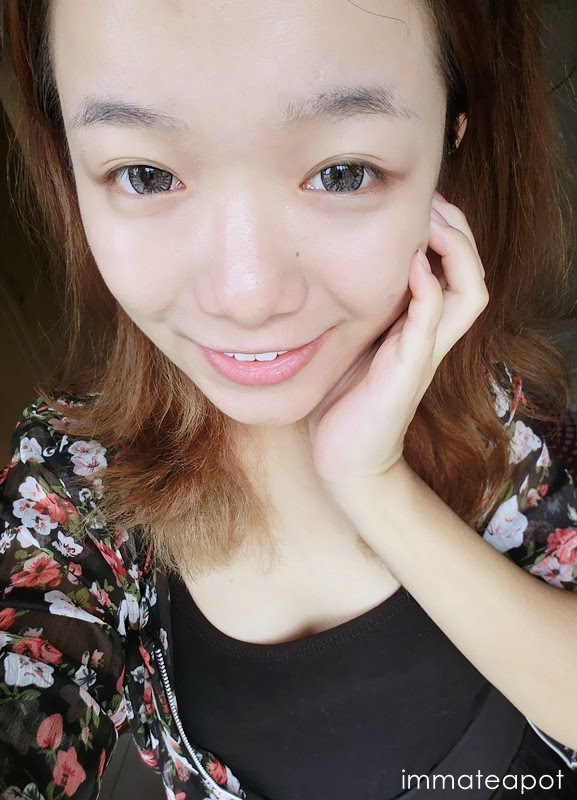 All thanks to SKIN79 CC Cream Correct for making my life easier haha as I can skip few steps on skin care and makeup! Grab it now from HiShop before it's too late with 15% OFF!!! For more information, visit www.hishop.my or HiShop Malaysia on Facebook! I've been hearing a lot of good things about this CC cream so I really want to try it too.